Francesca McDonagh. The Bank of Ireland head says staff at fault for the tracker scandal will be held accountable. 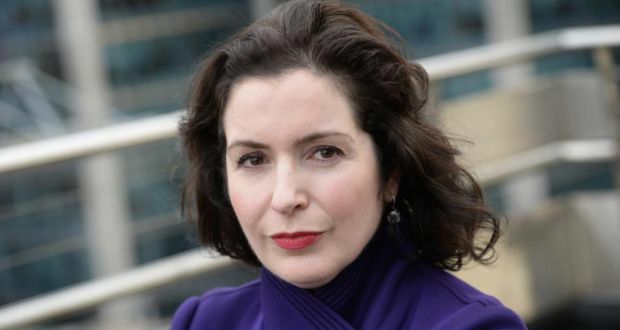 Bank of Ireland’s chief executive of almost four months, Francesca McDonagh, has revealed that 14 of its borrowers lost residential properties as a result of the tracker-mortgage scandal. Ms McDonagh told the Oireachtas Committee on Finance, Public Expenditure and Reform on Tuesday evening that eight owner-occupier and six buy-to-let borrowers lost their properties as a result of being denied their right to a low-cost mortgage tied to the European Central Bank rate. Six of the eight owner-occupiers agreed to a sale during the financial crisis to resolve their money problems; one traded down; and one took a mortgage-to-rent option. Ms McDonagh said compensation of at least €50,000 was being offered to such borrowers; €250,000 has been offered to one borrower that she recalled. Ms McDonagh said the most redress and compensation paid to an individual borrower was €363,000. The chief executive also said that she is pressing ahead with a “robust” internal investigation into the causes of the scandal at the bank and that individuals found to be at fault will be held accountable. She added that she expects the investigation to file its report with the Central Bank of Ireland – which has also said it will investigate senior bankers’ culpability – by the end of March. Since succeeding the long-serving Richie Boucher, in early October, and as public and political uproar intensified late last year, Ms McDonagh has taken charge of Bank of Ireland’s approach to the tracker crisis. In November the bank acknowledged an additional 6,000 affected customers to whom it had previously denied redress. That brought its total number of affected customers to 14,500, including 5,100 dealt with in 2010. The bank has hired a third party to trace about 250 former customers whom the company is having trouble finding, including people who moved abroad, the chief executive said. “I have concluded that the bank placed a clear emphasis on the legal interpretation of our mortgage agreements but did not go far enough to fully ensure we were delivering the right outcomes for our customers,” Ms McDonagh, a former HSBC executive in the UK, told the Oireachtas committee. The Central Bank had ordered lenders in December 2015 to examine their books for customers who were either wrongly denied low-cost mortgages linked to European Central Bank rates or put on the wrong rate. A total of 33,700 borrowers had been identified across the industry by December, up by two-thirds since September. Thirty-seven owner-occupier and 79 buy-to-let borrowers across the industry had lost their properties as a result of the scandal as of December, according to the Central Bank. Bank of Ireland has now paid €68 million in redress and compensation to more than 5,000 of the 9,400 customers involved in the current review. It has contacted almost 90 per cent of affected borrowers with offers totalling €108 million. “While we are now resolving the financial aspects of the tracker issue with compensation and redress, we know we can never fully reverse the negative effect the tracker issue has had on our customers,” Ms McDonagh said, adding that the lender is working on “tailored” solutions to manage “extreme cases”, such as when customers lost their homes as a direct result of the scandal. If you have been affected by the Tracker Mortgage scandal and would like some assistance then please don’t hesitate to get in contact with Fin at info@fodsolicitors.ie or phone-Dublin 01 6854458 -Cork 021 4204122 -Galway 091 782181.